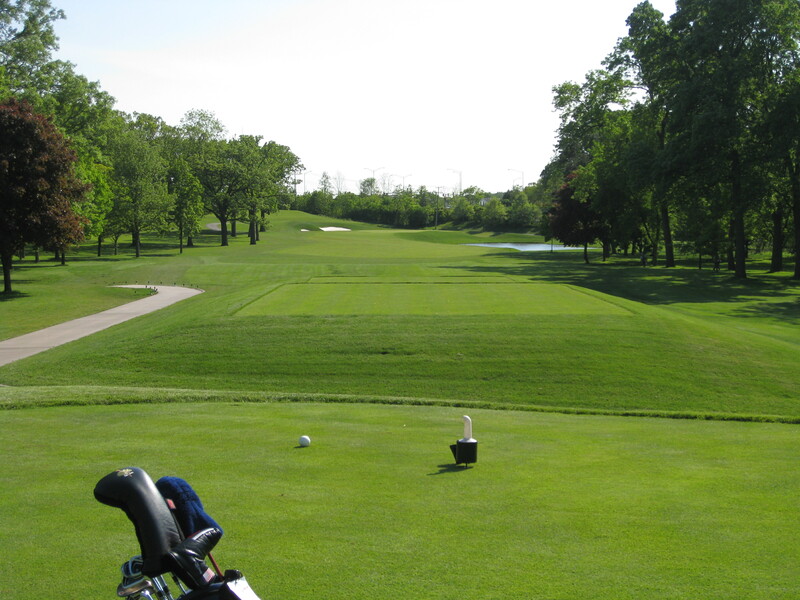 Course stats: Back tees – 7,657 yards, par 72. We played it at 7,007 yards. 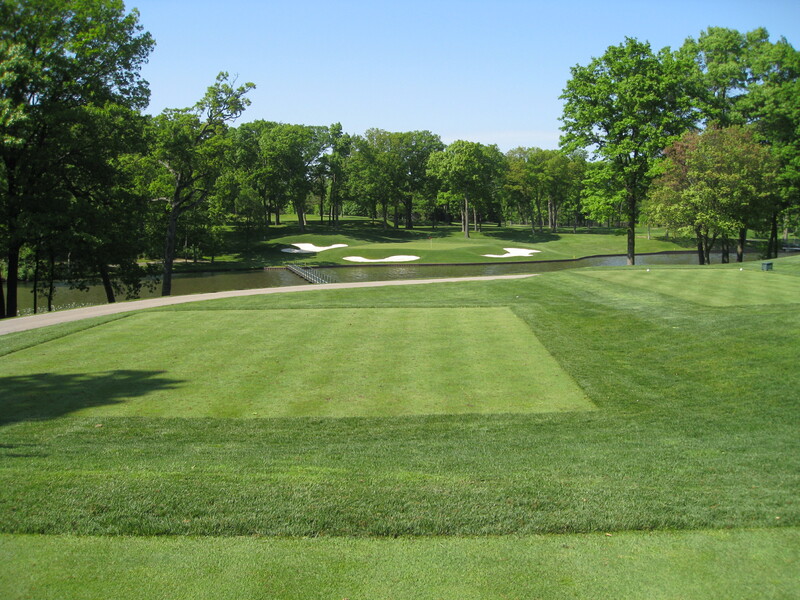 Overview: Medinah Country Club, in Chicago’s western suburbs, will host the 2012 Ryder Cup matches. 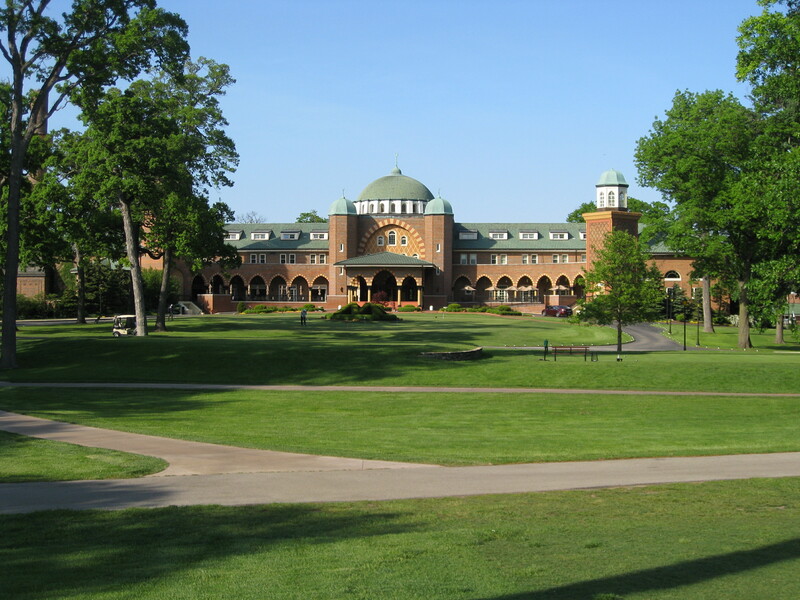 It has hosted a pair of PGA Championships that were won by Tiger Woods (1999, 2006). It hosted three U.S. Opens (1949, 1975 and the 1990 event in which Hale Irwin defeated Mike Donald). It is ranked as the No. 23 course in the United States by Golf Digest. Golfweek rates it as the No. 63 Classic course in the United States. Medinah is a cool place. There are three courses. A clubhouse (above) is massive and pretty cool — and I’m not generally a clubhouse guy. The club was originally a retreat for Shriners who lived in the city. There had been a ski jump at one point on the property and all of the old pictures on the walls are cool. The locker room/valet/etc., is a great and the service is very top notch and everything is done right. I’m not talking over the top and showy, just really cool. It was a great place to be a guest for a day and I would guess it is a wonderful place to be a member. My host was great and couldn’t have been more welcoming. The members we saw/interacted with seemed pretty normal. It wasn’t a stuffy place where I didn’t feel comfortable. Thoughts: Probably the worst thing I did was open my mouth one hole into the round. After a tee shot down the middle on the first hole, I hit the green and rolled in a quick birdie. My line: “This place is easy.” I followed that birdie up with a par on the second hole. At that point, I should have probably turned around, taken my 1-under thru two, walked to the parking lot and called it a day. Because it got ugly after that. I blocked my tee shot way right on No. 3 and made a quick double. Over the final 16 holes, I made several double bogeys. I struggled off of the tee and this is not a golf course where you want to do that. 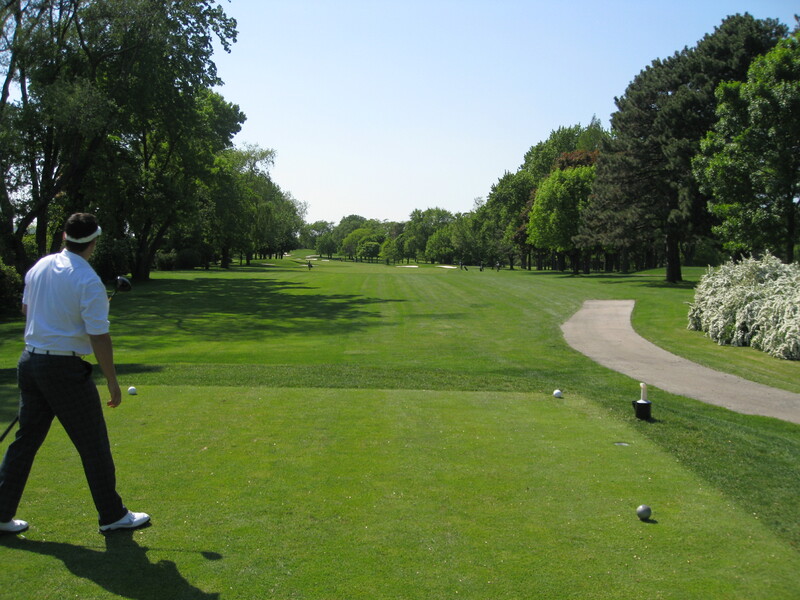 You need to hit the ball straight, you need to move it out there a little bit and you — more than anything — have to keep your ball out of the trees. If you hit the ball in the trees, you can probably find it, but you probably aren’t going to like it. A lot of the trees are hundreds of years old. If you wanted to hug them, you couldn’t get your hands to touch on the other side. And going over them isn’t an option at all. In baseball, there are teams that play small ball — think the Ozzie Smith/Vince Coleman St. Louis Cardinals teams in the ’80s — and there are those that swing for the fences and play big. Medinah No. 3 is like those Oakland A’s teams with Canseco and McGuire hitting back-to-back. I’m very admittedly a small-ball golfer. I want to hit it straight. I work hard to control my distances. And I want to get it up-and-down a few times a round. If I was a baseball pitcher, I’d be the crafty old guy who throws lots of off-speed pitches, tries to hit corners and is way more about control than power. 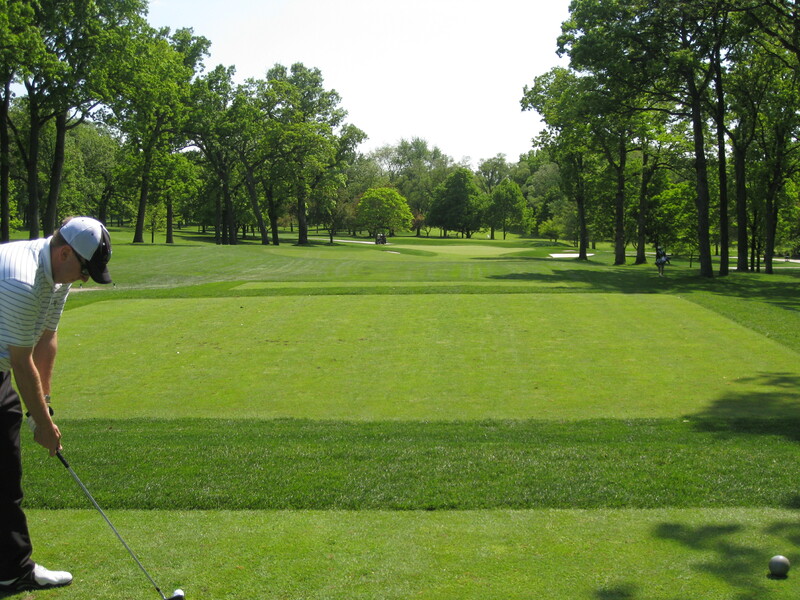 I think the hard part about Medinah for me was knowing that one loose swing at any point wasn’t going to be pretty. It just kind of hung around in the back of my mind and it didn’t work out all that well. It wasn’t if I was going to make a double, it was when I was going to make a double. 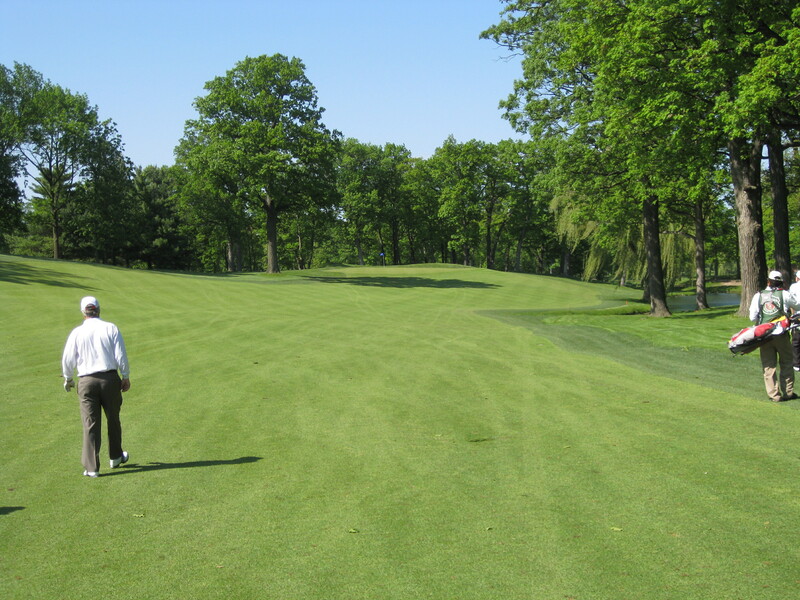 On a lot of golf courses, you can make a mistake and maybe still make par or certainly escape with just a bogey. But not here. 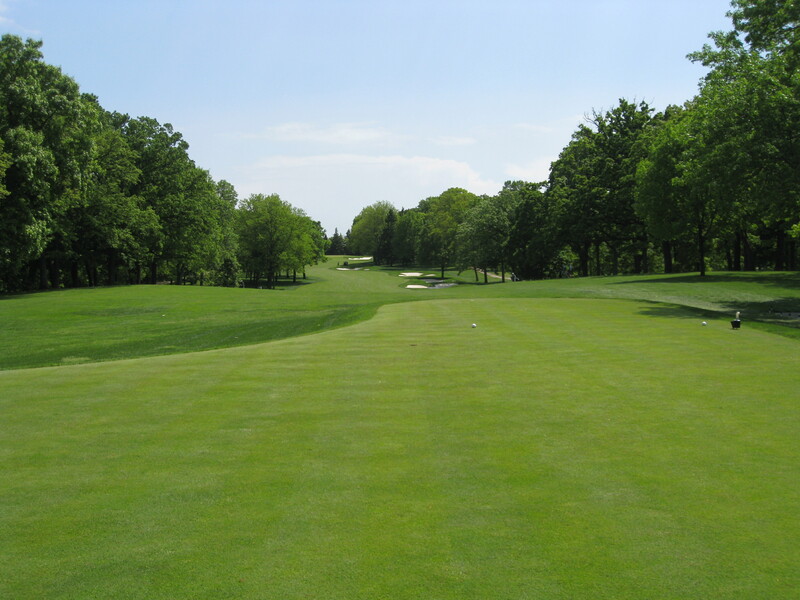 There are people out there who knock Medinah and say it is boring because it is just hard hole after hard hole. While it is difficult, it isn’t boring. It’s just demanding. 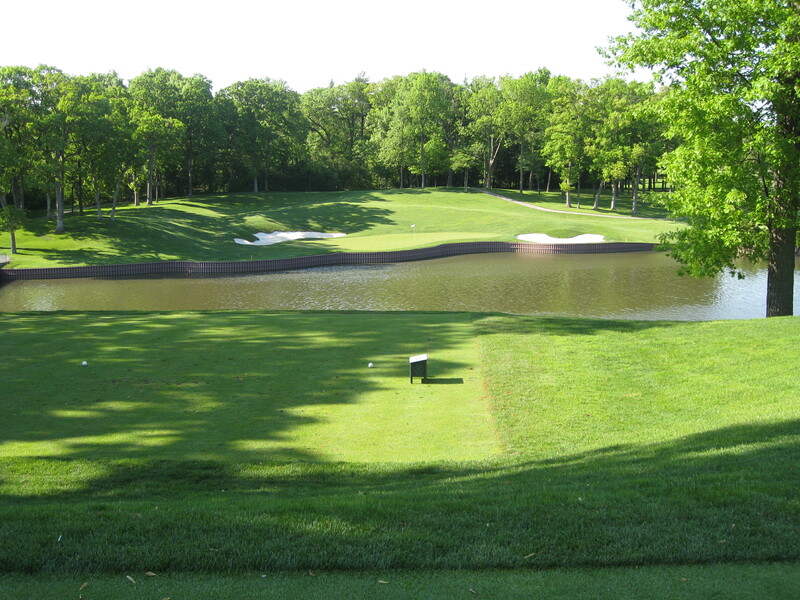 I compare it, in many ways, to Hazeltine National. 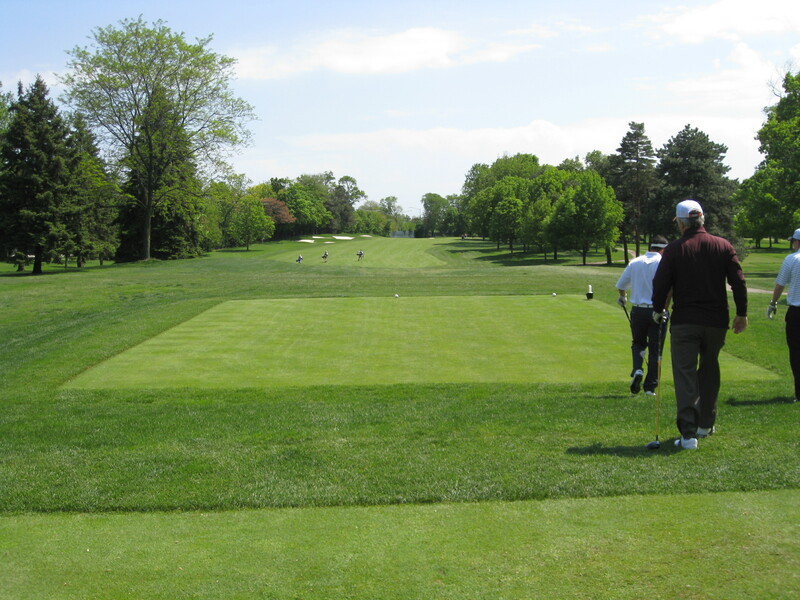 While they are different golf courses from different times, they both require players to hit good shot after good shot. 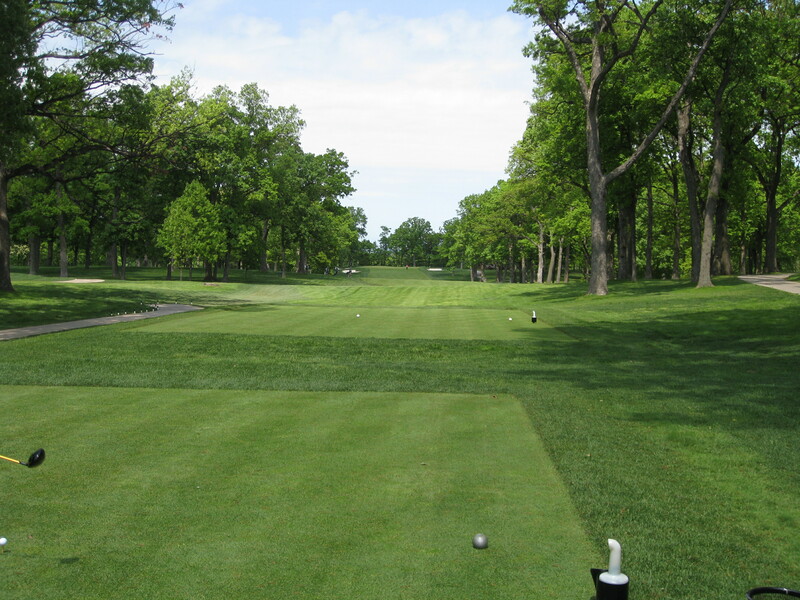 They are also courses that if you played there a couple of times, knew where to not hit it and played the right set of tees, it would positively impact your score. 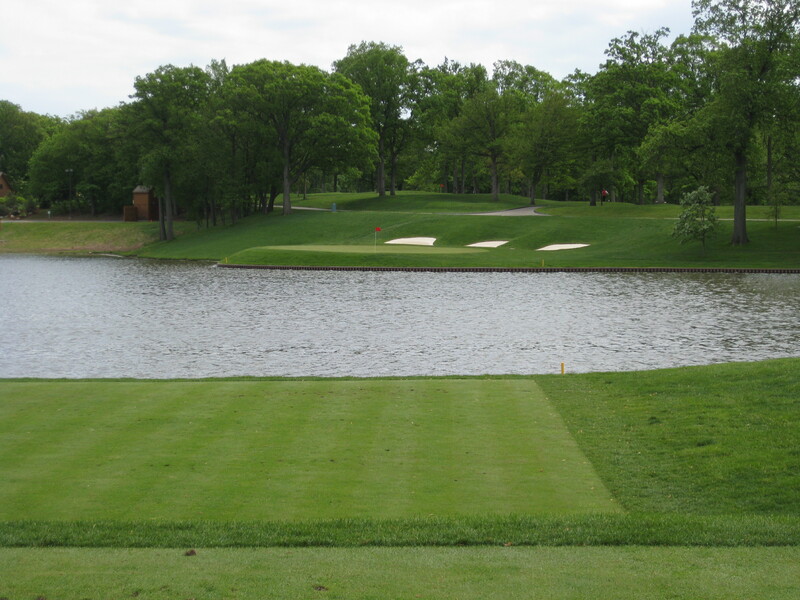 And while three of the four par 3s play over the lake, don’t believe the hype that they are all the same hole. They are very different distances, the miss is in different places and the elevation change is different. I think people will like the rebuilt 15th hole. We played it at 331 yards and even from the back tees it is 390. If I was a gambling guy, I’d bet that the tees will be up at least one of the days during the Ryder Cup, tempting players to hit driver at the green. In addition to the water, there are some neat chipping areas to the right and back of the green. 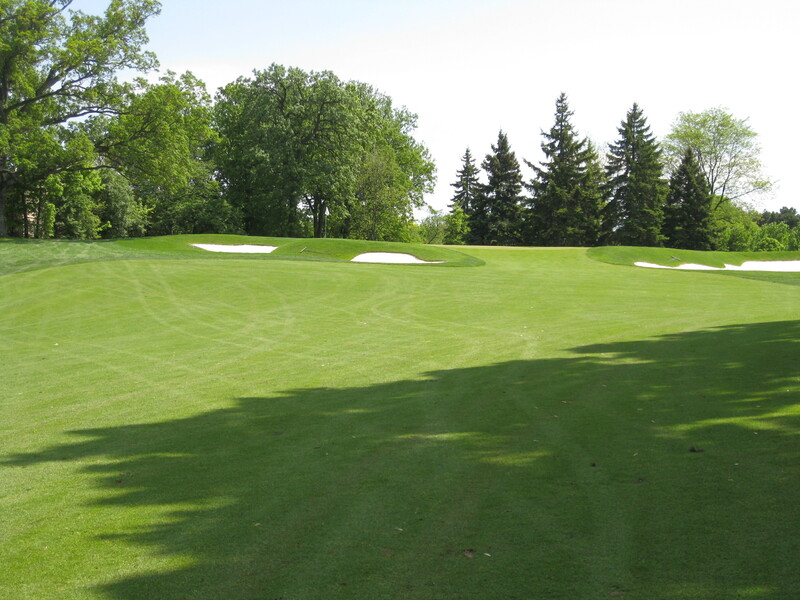 It is an interesting hole that will force players to make choices during a pivotal time in a match. 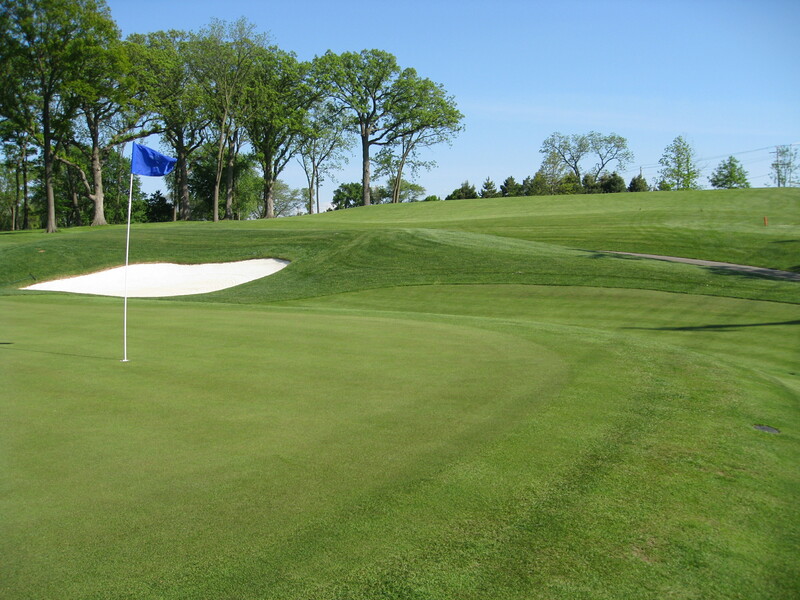 In addition, don’t believe the hype that the greens are flat and putts are easy to make. The greens were recently rebuilt and there’s much more internal contouring and movement on putts. Now is there the same amount of slope here as there is on old classic courses with small greens? Of course not. That would make a hard course extremely difficult. I’m not sure I can really give a great hole-by-hole breakdown because of the way I struggled. I was well into the 90s and this was probably my worst ball-striking round of the year. But I did take a bunch of photos. Hopefully they will give you a sense of the place. Here is No. 2 (172 yards from the silver/7,007 tees). I missed it just off of the front right corner and got it up and down. Here are two of No. 5 (503, par 5). This is 6 or 7. Not sure. Here is the view of No. 10 (567) from the tee. There’s some good bunkering on this hole. Here is No. 12 (463). 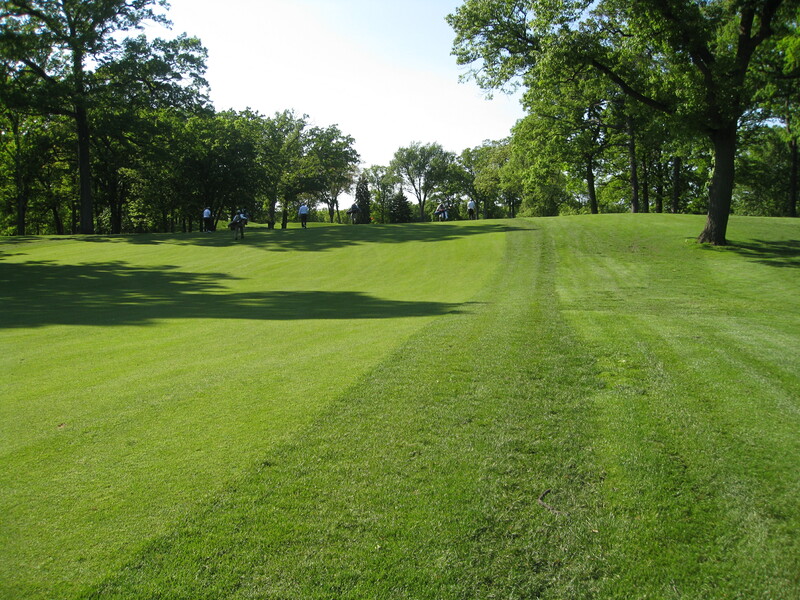 One of the guys I played with described this as one of the stronger par 4s in the Chicago area. 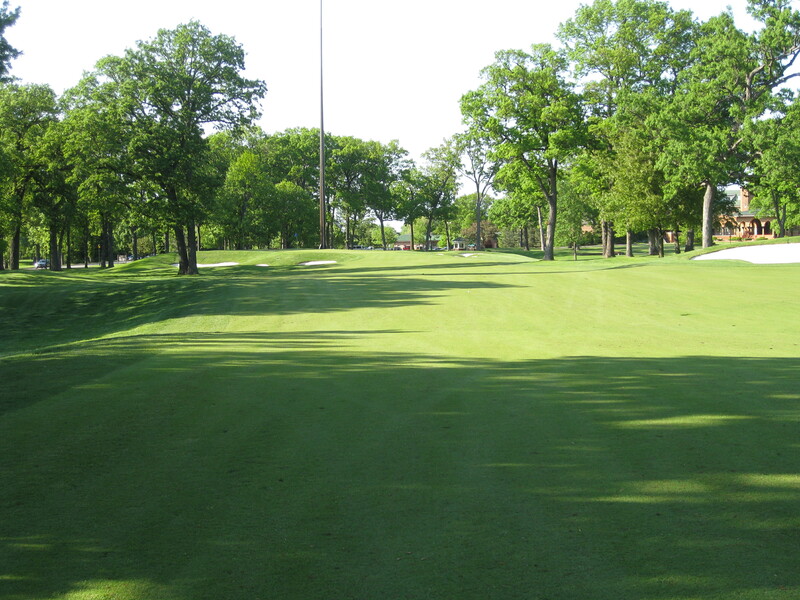 It’s very Medinah as it is long, there’s trouble and you need to get your ball to an elevated green. Here is No. 13 from the 189 yard tee box. Not a lot of margin for error. But here is No. 13 from the back tees. It’s 245 yards of pretty much all carry. After we hit it from 189, we went to the back. I hit my best driver of the day and ended up on the back edge of the green. Here are two of No. 15. In the second photo, take note of all the room above/behind the green. You will see tons of corporate chalets, etc., there during the Ryder Cup. I would guess it will be a great place to watch some of the action. This is No. 16, a beefy 434-yard par 4. 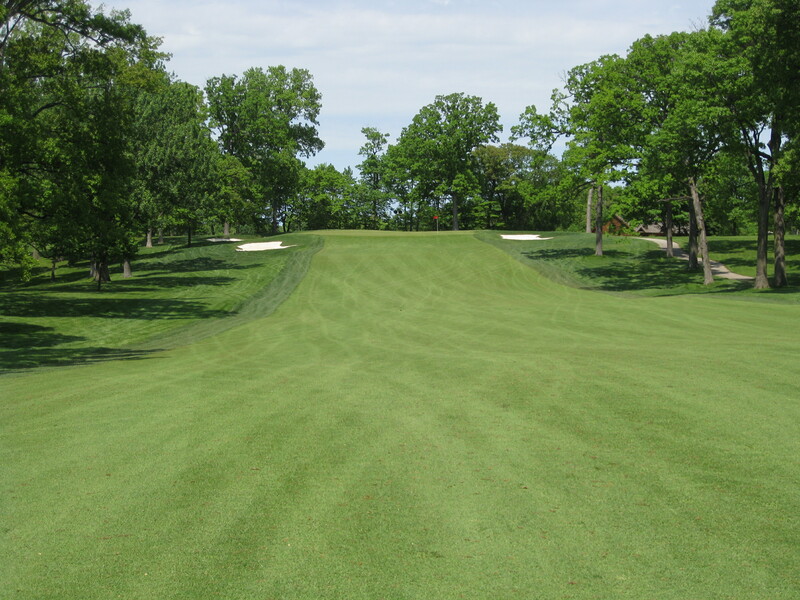 The photo is taken from about the spot where Sergio Garcia hit the famous shot around a tree in the ’99 PGA and did the little jump-skip up the fairway. That tree, however, is no longer there. And, finally, No. 18. There was talk at one point about moving the green further back (there is certainly room behind the green), but the massive flagpole goes so far down into the ground, that it became difficult. Would I play here again: Absolutely. 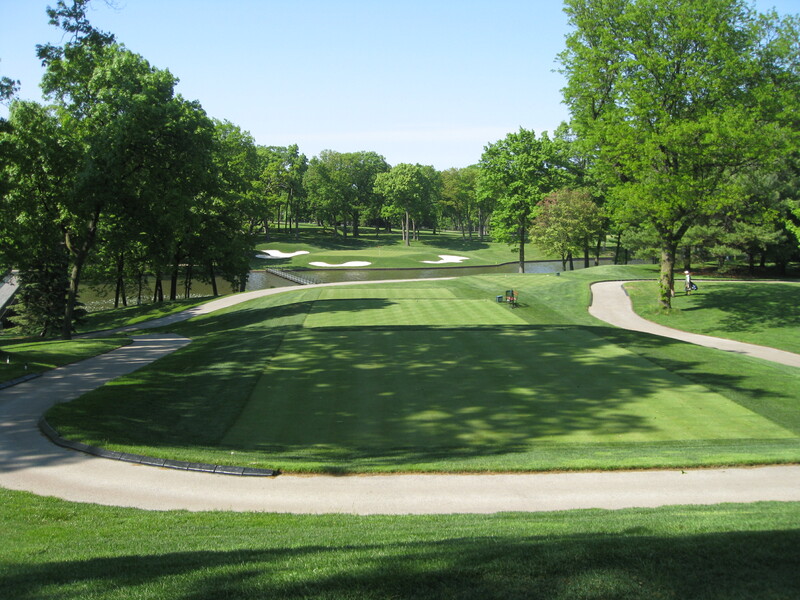 My day at Medinah was a wonderful experience. My host is a great guy — who happens to pound it a mile — and we had a great group. I would also love to make a better showing. If you get a chance to play here, jump at the chance. I drove from Minneapolis, playing some golf along the way, simply to play here. It was well worth the effort and would do it again in a heartbeat. I may have been knocked down, but I wasn’t knocked out. You lucky stiff. Nice description of your game (the crafty old pitcher analogy). Good report. Summed up the character of the course well. I’m also glad you pointed out that the notion that the three par 3s over the lake are all the same is false. btw, in your “6 or 7, not sure” photo, that is number 6.